In a beauty world where there are products coming out of our ears, and then some… there’s a lot to be said for taking it back to basics and keeping things simple… Sure high-tech skincare with a whole host of magical claims and promises can lure me in as much a the next girl. But at the end of the day, when it comes to skincare I want it to A) work B) be quick and easy to use and C) smell nice. 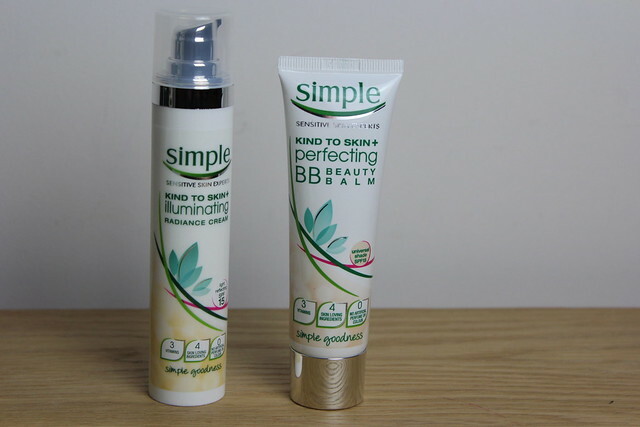 Over the past couple of weeks I have been tasked to give a range of eight products from the Simple skincare range a try and review each of them…and of course decide on some favourites of the bunch. I’ve been trying both of these out and have a clear favourite – when it comes to cleansing I like the Foaming Cleanser – I always tend to lean towards cleansers with a foaming element as feel a bit more like they’re really working. Granted, the Cleansing Lotion is most probably better for my dry/combination skincare type but I like what I like and like the foaming cleanser, whilst it’s foaming – it’s not stripping or dry. Now I know full well that face wipes aren’t the *best* thing for skin care on a longer term basis but I am partial to the odd lazy-cleanse…on a really tired night I’ll reach for a cleansing wipe to remove make-up before giving it a bit of a proper cleanse with something soapy or creamy. These cleansing wipes are a little unusual to other wipes though as they have a bit of a firm/gritty feeling texture so they have a bit of a scrub at the skin. The toner on the other hand is cooling and refreshing and keeps skin feeling hydrated. Of these two, my pick is the Soothing Facial Toner – it’s refreshing and cooling and leaves my skin feeling fresh and lovely. Now these are two eye-based products I have tried before, one that’s a cooling, refreshing roll on for the eyes with a fresh gel that feels like heaven if you have puffy eyes or have maybe had a few too many the night before… Then there’s the clever little Corrector Pen – ever gone a bit too heavy on the eyeliner and not sure what to do other than to balance things out on either side – this little pen is a wonder, easy to touch up mistakes like they were never there! But of the Treat section…my top pick has to be the Roll On – I’m doing some seriously early mornings with Barry’s Bootcamp Academy at the moment and this is just what I need at silly O’Clock in the morning. The fourth and final step in the Simple skincare routine is the Protect element – with a BB cream and an Illuminating Radiance cream on offer. The BB Cream comes in a ‘universal’ shade, which is great in theory but I’m yet to be convinced there’s a universal skin tone product out there that really lives up to it. But texture wise this feels light and nicely hydrating and leaves a healthy finish on skin, but I do find it a little too peachy for my skin tone. The Illuminating Radiance Cream is a lovely day time cream – with the right level of shimmer for glow not shine. It makes a great based for make-up…. in the same way as products like MAC Strobe Cream etc. This is my pick of the Protect options. Try our Simple® Sense tool today and we’ll create a free, personalised skincare routine just for you! Backed by 50 years of expertise, your Simple® Sense routine will help you discover what’s good for your skin by not only looking at your skincare routine, but your lifestyle too. What’s more we think you’ll start to see results for your skin in 4 weeks! All the more reason to get started! 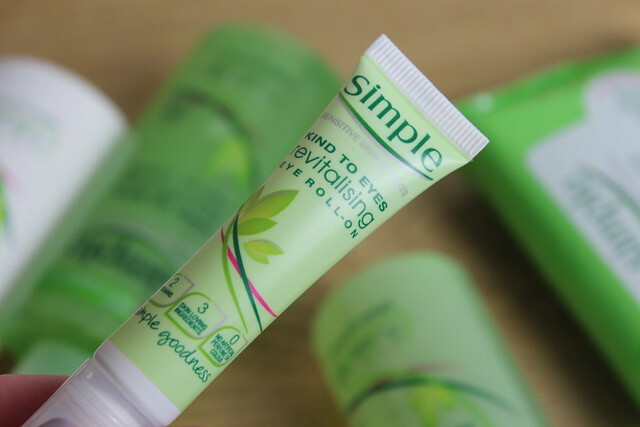 With Simple® Sense, improving the look and feel of your skin is achievable. Try it and see the results for yourself! Disclosure: Compensation was provided by Simple via Glam Media. The opinions expressed herein are those of the author and are not indicative of the opinions or positions of Simple. Nice article! This band seems good to try out. 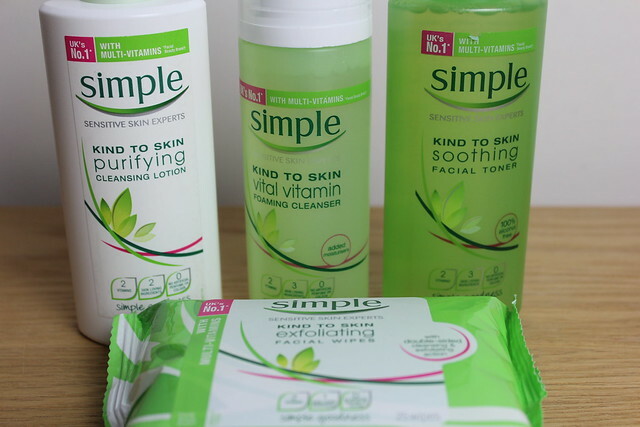 Nature of my skin is dry so I have a need to try these products for better result. Thanks a lot for sharing.